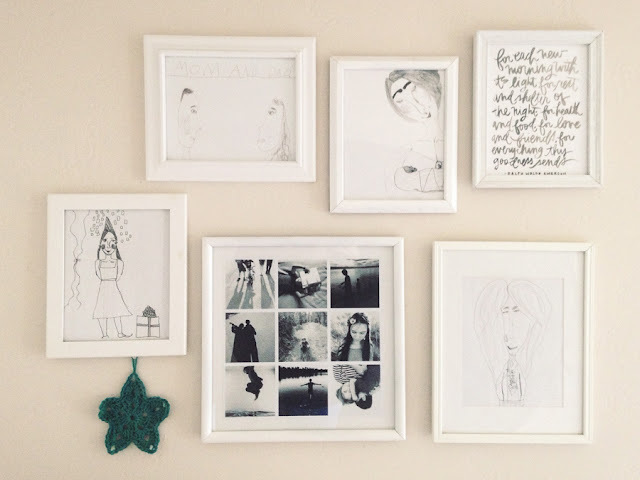 One of my favorite ways to enjoy the photos I take with my phone is as sets of 4x4 prints. We have a couple of cork boards in our living room that are covered with small prints of this size. I wanted to try something new a few weeks ago, so I decided to make a montage print of some of my favorite pictures from the month of September. I made my photo collage using PicFrame, an incredibly handy photo app I have on my iPhone. It has plenty of built-in options that are great for adding borders to my images, creating my own scrapbook pages, and making collages like the one I made here. 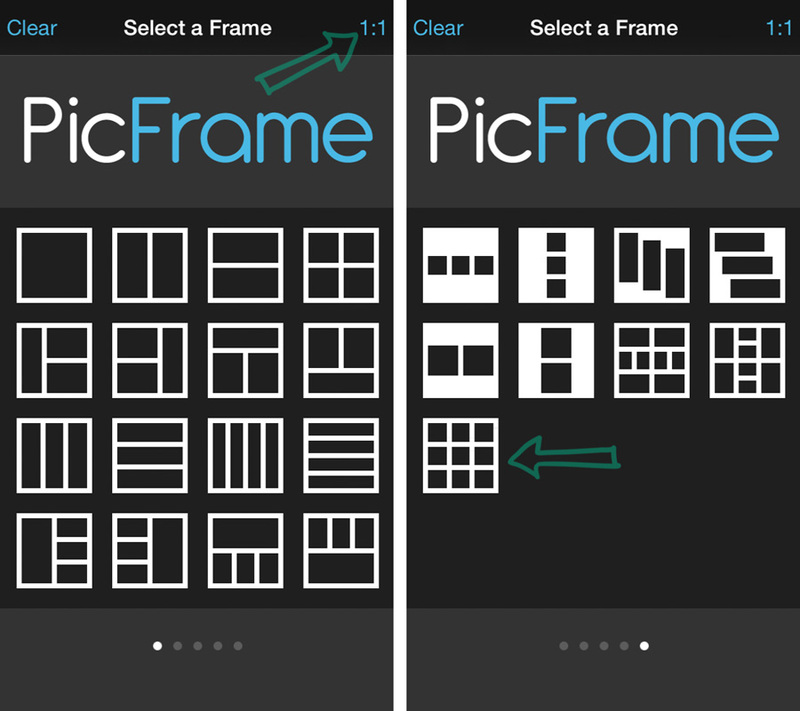 PicFrame has several pages of templates to choose from. My favorite is the 3x3 grid. To keep your collage a square, make sure your aspect ratio is set to 1:1 in the upper right hand corner. Swipe to the last page of frames and select the frame that holds 9 square images. 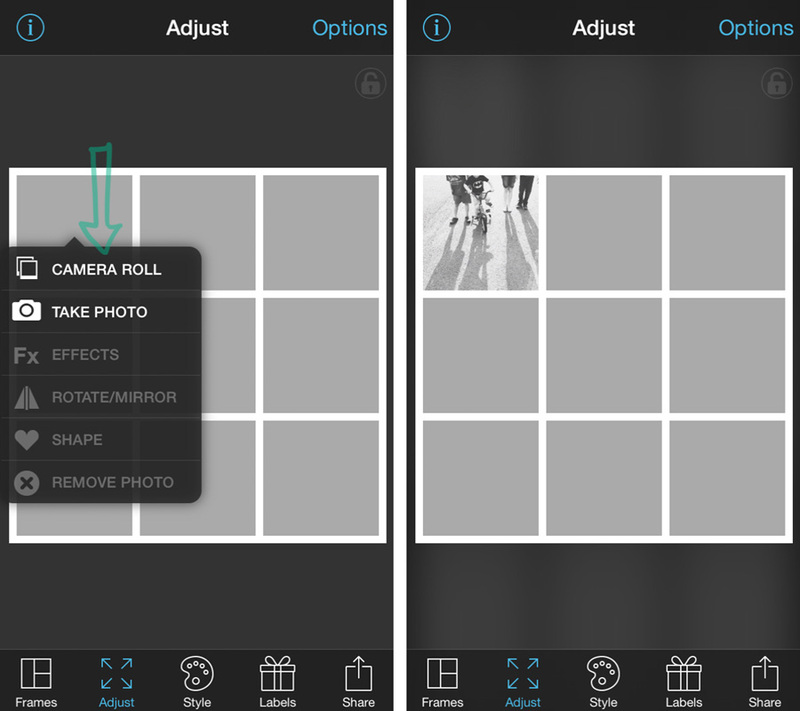 Once the desired frame opens, tap on a square to select an image from your camera roll to fill the square. Move the image around within the chosen square until it looks right. Zoom to crop in closer if needed. Continue to fill each square in the grid with a picture until all the squares are filled. 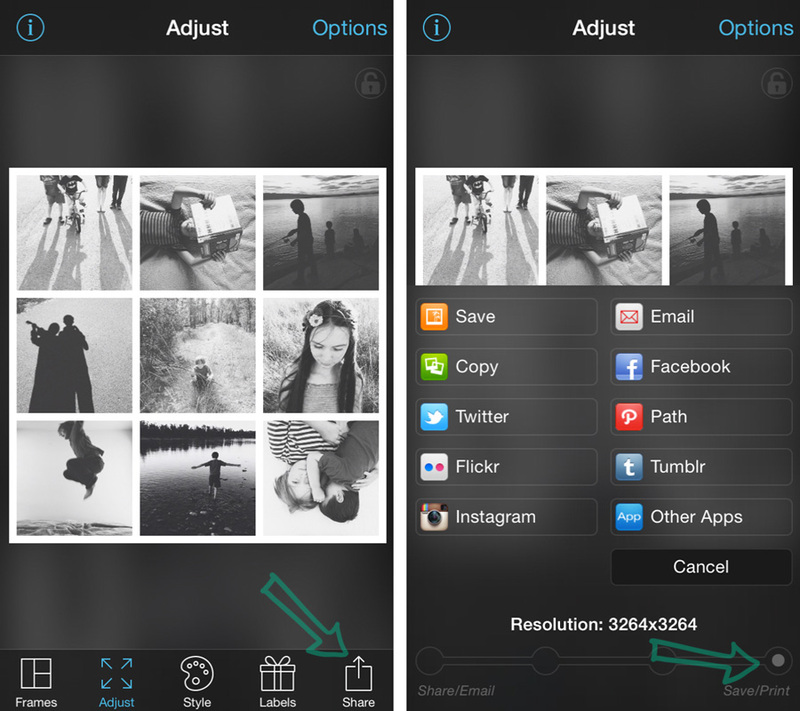 If you don't like where you have placed an image, tap on that square and replace with a different photo. When your frame grid is filled, press the share button. You will see a list of sharing options. Important! You must adjust the resolution at the bottom of your screen by moving the circle all the way to the far right, above the words "Save/Print" if you want to make an actual print of your collage. Save your collage by pressing the orange "Save" button. 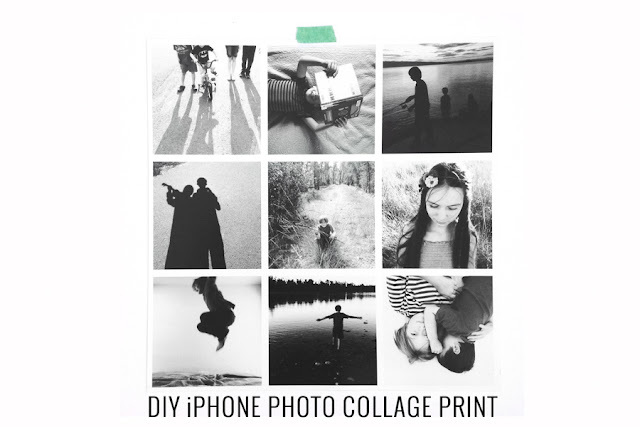 After I saved the collage to my camera roll, I ordered a 10x10 print from Mpix. You can see my tutorial for ordering prints from the Mpix Tap To Print iPhone app here. When it arrived in the mail a few days later, I put it up in a frame on the wall in among our some of our treasured handmade wall art. When I look at this collage with my youngest son, he likes to tell me the names of the people in every picture. His big brother likes to tell me the story behind each of the pictures. I love the way these pictures - and the stories they remind us of - bring us together.